24th October 2015 – The first time I received a bank statement for my salary account. Not so surprisingly, I had no idea for what reasons. Calling one of the bank executives was a good option but I settled doing otherwise. However, a month later I realised that I had spent 90% of my salary. On things that I am never going to use. Ever. Wish there was someone to guide me through this crisis. People are sharing articles about how they got 100,000+ new users after incorporating chatbots for business. 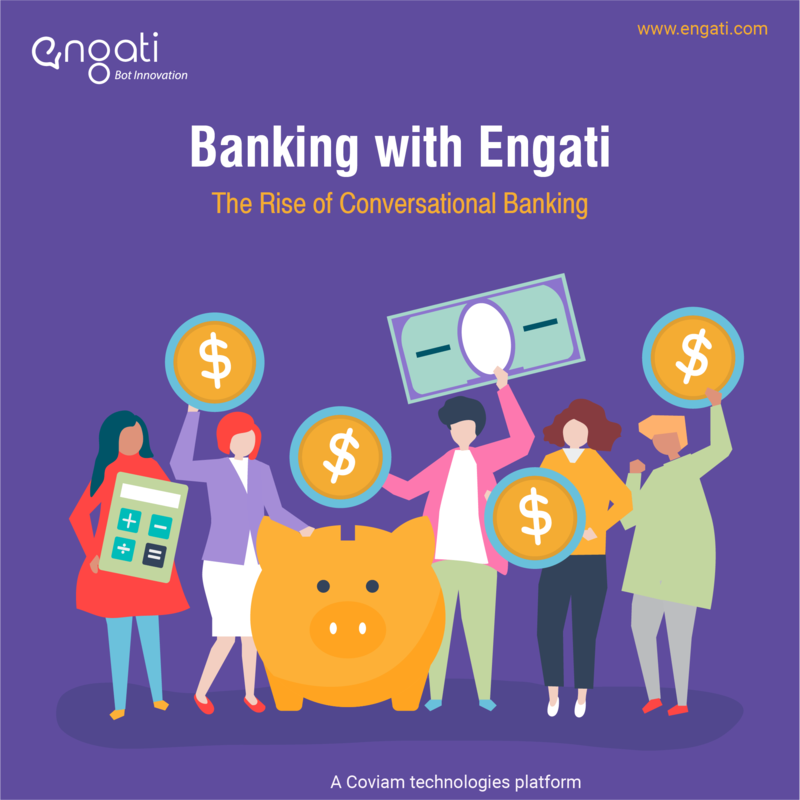 With a lot of painstaking research and experience, here are the TOP 4 reasons why every bank must have a chatbot if they haven’t already got one. If you were wondering why I shared my bank statement misery right in the beginning, here’s why – Instead of sending out emails and SMSs for statements, upgrades, policy changes, etc., and leaving the customer bewildered rather than intrigued, banks can automate the entire process through personalised push notifications sent via chatbots. This can end with – “Want to know more?” – to which a customer can say – ‘Yes’ – and find everything there is to know, at one single place. A simple, “Hey, your salary is in. Go have fun!” sounds way more pleasant, encouraging and personal than, “Your account XXXX has been credited.” What more reasons do we need now? Does selling plans generate revenue for the bank? Yes. Does solving customer queries generate revenue for the bank? No.Chatbots can take over the mundane, no-revenue-generating tasks and support multiple customers at the same time. Moreover, every time there is a change, chatbots need to be told only once, unlike training executives repeatedly to ensure that they deliver the right message across. Eg: Swedbank’s Nina takes care of service calls while the employees do the sales calls to add more value to the company. As much as we hate to admit it, we have time but it’s never enough. A new visitor must be saved the hassle of going through the bank’s entire website to find 1 piece of information. An executive doesn’t have to entertain queries when a chatbot can do it uninterruptedly without getting bored, seeking motivation, taking breaks or demanding an appraisal. In the end, we are humans. We need assistance to understand taxes, timely reminders to make investments and constant motherly care to save money for the future. And… chatbots are the perfect paradigm of a win-win situation – it caters to both, the customers as well as the bank. There are no further, better reasons. Don’t espouse what’s best for the world. Choose what’s best for YOU.